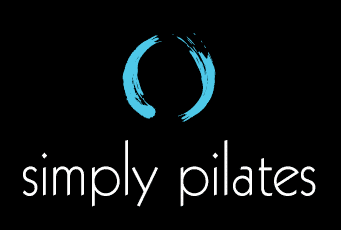 Simply Pilates | Scottsdale Arizona | Pilates Studio, Phoenix, AZ. Simply Pilates provides the highest standard of classical pilates training in Arizona. Catering to residents in Scottsdale, Phoenix, and Paradise Valley, Simply Pilates provides a full body workout that will leave you stronger, leaner, more flexible, and energized. Whether you are a beginner or a professional athlete striving for a competitive edge, our highly certified instructors are here to help you meet your fitness goals. INTERESTED IN A CAREER IN PILATES? Our studio is proud to be a Power Pilates training facility. We offer certification programs for new instructors as well as workshops and seminars for veteran instructors looking to further their knowledge and improve their craft. Click here for more information! Pilates helped me avoid back surgery. In fact, my back pain has mostly disappeared thanks to Simply Pilates and my diet! Amanda and Rebecca are simply outstanding instructors and their relentless focus on form, technique and micro movements are perfect for my condition. I have been going to Simply Pilates in Scottsdale for 2 years, twice a week, and its working for me. As a very active senior, my spirits have never been higher and I feel great, physically and spiritually. My mantra is “WOW” — working on wellness. I was thrilled to see Amanda featured on Channel 3 news in Phoenix yesterday just before I went in for my session which always elevates my mood, aligns my body and puts a spring in my step. Its like discovering the fountain-of-youth and can’t wait for the next lesson. Simply Pilates is a top notch studio! The instructors are fantastic. I have been taking lessons from Amanda for over 5 years. She has taught me through pregnancy, postpartum and even a back injury. She is always ready to provide a modification based on my need - while keeping the other group members needs in mind as well. She has a gift! I always walk alway from class feeling stronger, taller and happier! The studio has a warm, welcoming environment. Very non-intimidating. Going to Simply Pilates is the highlight of my week! Highly recommend! I've been coming to Simply Pilates for 5+ years and still look forward to every class! After injuring my back, my doctor recommended core strengthening workouts to prevent needing surgery. I turned to pilates (more specifically Amanda & Simply Pilates) and haven't looked back. I've tried other studios throughout Phoenix, but NONE compare to the individualized attention you receive here. Class sizes are ideal (max of 5 people) allowing the instructors to focus on your form and provide customized workouts. My workout routine includes 2-3 Pilates classes/ week. I'm happy to report I no longer have back pain, my core is strong and I've toned my arms and legs. I highly recommend Simply Pilates! I am 77 years old and am fortunate to have been trained at Simply Pilates by Amanda over the last 6 years. Amanda has a background in education and it is evident that her teaching background is responsible for making her a superb instructor. Thanks to Amanda, I'm more aware of my body and am amazed by what pilates has done for me. It helps to keep me in shape and moving! The instructors at Simply Pilates have pushed me in ways I never thought possible, in and out of the studio. I have become stronger each year and because of their continued teaching and support, I began the certification process of becoming a pilates instructor myself. All the instructors are a passionate professionals and dedicated teachers; I look forward to each and every class I have the opportunity to take and would recommend Simply Pilates highly to all! I've tried other pilates classes and Simply Pilates is by far the best. The instructors know how to individualize each person’s workout to fit their level and/or needs. More importantly, they pay close attention to make sure you're doing each movement or position correctly so that you get the most of your workout and you get better results. It's a great overall workout! I have been a fan and student of Pilates for years, the last 3 under Simply Pilates' instruction. Their knowledge of true, classical Pilates is exceptional. The focus on proper body movement and breathing make their classes effective, safe and enjoyable. I would go nowhere else! I've been taking pilates classes from Simply Pilates for five years. I have tendonitis in my right shoulder and was getting cortisone injections every six months. Since starting pilates, I haven't needed one and have improved my strength and range of motion. I wouldn't have believed that I could exercise for an hour and enjoy it, but I do! Simply Pilates expertise and guidance has transformed my body in an incredible way! My core is tight and flat, my triceps are toned, and my legs are leaner than they have ever been! My instructor at Simply Pilates is great at circulating to all of her clients in class to ensure that we are doing each exercise with correct form and precision. She offers the variety and the support I needed throughout my fitness journey. Even after four years, she still finds ways to challenge all of her clients. I’m a pilates lifer! I am never bored! The workouts at Simply Pilates are great and I would recommend their mat and equipment classes and individual sessions to anyone, young and old! I am more than pleased with the results I have gotten from Simply Pilates. I have been going to the studio for over two years now and can honestly say that I still look forward to my workouts. The classes at Simply Pilates are challenging and encourage me to work harder. Each class is different and uses various props to create interest. Each class is individualized for each person and taught by instructors who are "born teachers." Run, don’t walk now to sign up for classes at Simply Pilates!